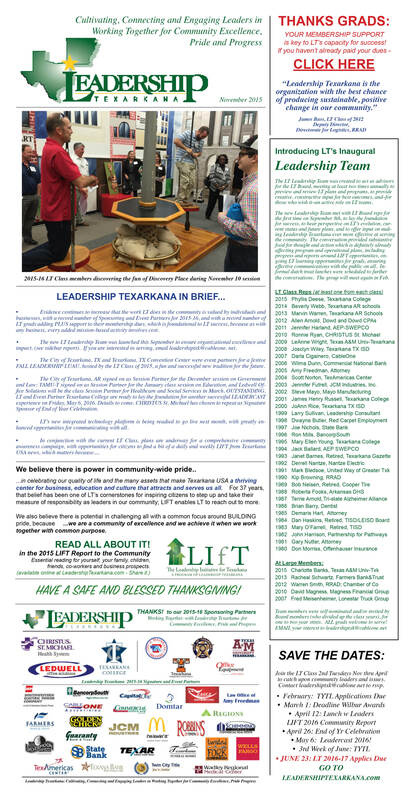 It is my privilege to presently serve as the Executive Director of Leadership Texarkana (LT), with which I have been affiliated in various other roles since completing the flagship annual program in 1989. In the 27 years since, I have led opening retreats for many LT classes and have facilitated numerous Quality of LIfe sessions, and in the process, I have heard firsthand from hundreds of the most committed and connected LT participants from every demographic. 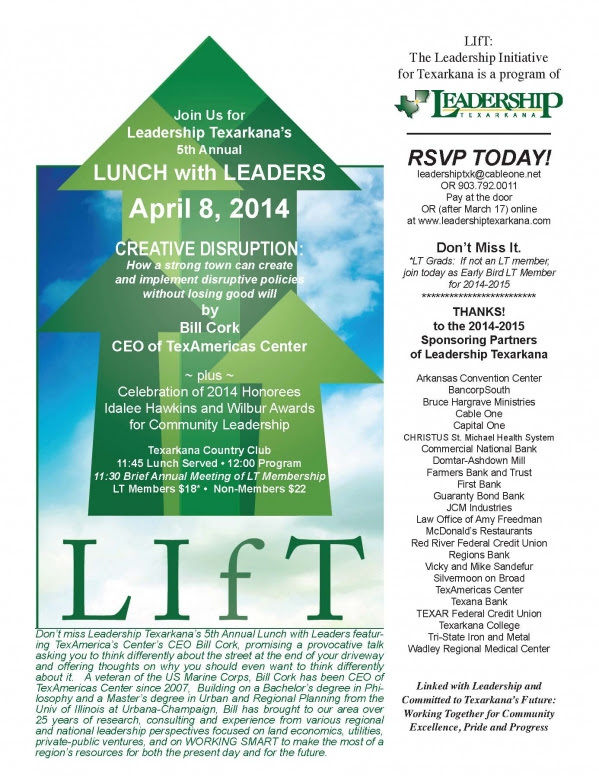 For the past six years as LT Executive Director, I have had the truly unique opportunity of annually hearing the leaders in every sector of our community share their perspectives on the state of their industries (whether of healthcare, education, economic development, government, quality of life initiatives, etc), their challenges, along with the opportunities they are pursuing.